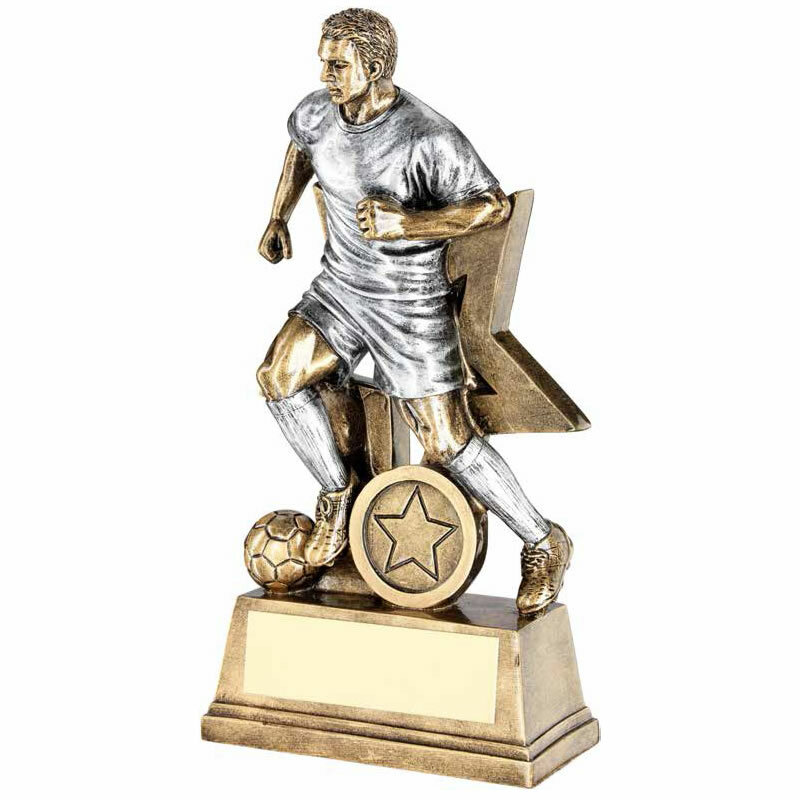 These football figure trophies are ideal as awards for individual player achievements. Crafted in durable resin with a silver and bronze colour finish, they feature a detailed figure of a (male) footballer in action set on a bevelled base with engraving plaque. Available in five size options, offered with engraving options.